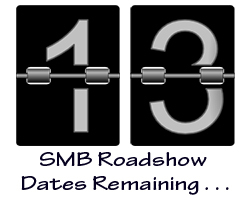 My big SMB Roadshow is heading to England, Scotland, and Ireland next month. Please join me! You can find out all the details at www.SMBRoadshow.com. 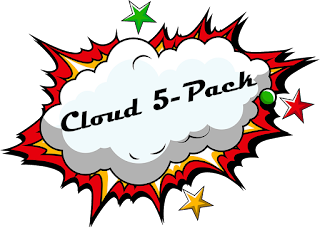 This six-hour seminar is jam packed with great information about bundling, selling, implementing, and maintaining cloud services. We've hit about half the cities we're going to visit this year. Check out the video -- which includes a discount code -- and plan to join me in August. SMB Nation Announces Fall MSP Tech Talk Agenda - Join Me! All you have to invest is your time. This multi-faceted event gives technology providers the opportunity to learn from industry experts with no travel, hotel cost, or extensive time away from your business. The Fall Agenda includes presentations by Harry Brelsford, Jamison West, Amie Seisay, Mark Scott, and me. In this session, Harry Brelsford, the CEO of SMB Nation, will walk you through the five steps of implementing digital marketing and analytics as a way to convert leads to closed sales. From using webinar analytics as a form of predictive/behavioral lead scoring to A/B testing via email campaigns to using HootSuite analytics for social media measurements, he'll explore how best to use specific tools that you likely already own or subscribe to and the most cost-effective methods you can implement immediately. As a bonus, you'll also discover the dirty little secret about the effectiveness of social media in B2B. Have you fully embraced the cloud? Do you use the cloud fully in your own environment? Do you sell and deploy the cloud first, or better yet cloud only? If not, have you fully examined the blocking issues? In order to truly make the leap to becoming a Cloud Service Provider you must understand the root of the paradigm shift. Join Jamison West as he shares his vision of what must be embraced and learned to transition your business. One of the most common topics for service providers is pricing. How should you price your services? By user or device? In bundles? Should you include hardware? What's covered and what's not? And how do you set an hourly rate? While the questions never cease, managed service author Karl Palachuk provides some great guidelines to consider as you structure your pricing. Join us for an entertaining and educational webinar - September 27th. Technology changes at a rapid pace. Business processes should align with the changes that are happening in the world. This of course, impacts how people perform their job functions. The days of waiting for IT to build web applications have shifted, empowering business users to develop their own websites and dashboards to showcase information. IT can shift their focus to developing high powered solutions that will provide even greater business value. This session will cover business solutions in SharePoint involving approaches to Change Management. We will also discuss pointers for allowing SharePoint to deliver true business value. Are your teams performing at their full potential? Are people on each team aligned with each other – values, personalities, and interests? Are they aligned with their roles and objectives to fully maximize the potential of their talents? Join Jamison West as he shares why his new business was created to improve company and team culture and performance. We get email. Craig asks, "What is project labor?" But then he gives an example (cleaning up a rat's next of wiring) that may not be a project at all. Here are some thoughts. Second, create clear definitions within your company for three different types of labor. Maintenance Labor consists of all those things you do to maintain systems and prevent problems. You might call this preventive maintenance labor. This includes patches, fixes, updates, testing backups, installing service packs, reviewing event logs, defragging databases, etc. Anything that improves daily operations and staves off problems is considered "maintenance." The goal of managed services is to sell all "maintenance" labor for a flat monthly. Ideally, you will include everything you can in maintenance labor so that the client is very clear when something is not maintenance. "Not maintenance" is either add/move/change or a project. Your mileage may vary, but here's what we came up with: We estimate about 1.5 hours per month to maintain a server to our standards. And it takes about .25 hours per month to maintain a workstation. So if a client has one server and 20 desktops, we would estimate about 6.5 hours per month to maintain their systems. Assuming a reasonably trouble-free network, you might round this up to seven hours per month (84 hours/year) on average to maintain their entire environment. Note that you CAN calculate how much labor it takes to perform maintenance labor over a year's time. Assuming you provide the same level of maintenance across all your clients, you'll find that the amount of labor needed to maintain a server or workstation is within a very predictable range. For me, A/M/C or B/F labor is just normal stuff that comes up from time to time in any office. In other words, it's not a project. If Outlook opens in safe mode, fixing that is maintenance. If a machine does not have Outlook installed, then installing Outlook is an Addition and therefore billable. We used to estimate that A/M/C labor was equal to about 25% of managed service labor. But, with newer equipment, business-class equipment, and cloud services, this number has gone way down. For the average cloud service client, A/M/C labor is between 0% and 10% of the monthly managed service labor. Project Labor refers specifically to a job that is a little larger and takes more than one step. For example, installing a new server involves setting up the hardware, installing the O.S. and software, joining the domain, migrating data, and configuring everything so it's accessible to clients who need it. Because it's many steps, the project is large enough that it should be handled separately from basic A/M/C service tickets. I highly encourage you to quote projects for a flat fee. 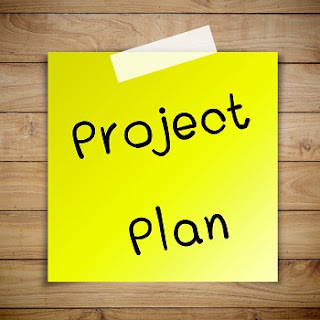 This requires that you have some pretty good estimates of how long it has taken you to do these things in the past and what it will cost you to deliver this project. For the client, a flat fee guarantees a known price and gives them the comfort that there won't be cost overruns. For you, it forces you to quote the job profitably and motivates you to be as efficient as possible to maximize your profit. When we're honest with ourselves, we have to admit that any project can experience a labor increase or decrease of ten percent just due to circumstances outside our control. With a flat fee, you can take that potential increase into account and then focus on controlling things as much as possible, almost forcing yourself to greater profitability. 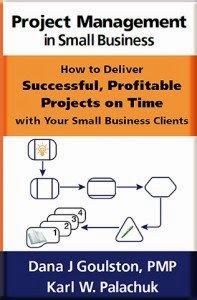 If you haven't read Project Management in Small Business by Dana Goulston and myself, please check it out. If you're rigorous, you can guarantee that no project is ever unprofitable again. "They have a running network but the network cables look like a rats nest and they want me to straighten it up. The thing is the network is fine, so I see this as a project because this is a request that although it’s needed, it’s not required for them to have a running network. I came into this situation I didn’t create it." The good news is: 1) The client wants you to fix this, and 2) They know you didn't create it. As you said, the network is working, so this is really just ugly, sloppy work that needs to be cleaned up. I also assume the place could benefit from a few labels here and there, and maybe even a bit of color-coding if the network wiring includes Internet wiring, data wiring, and telephone wiring. But even if it's just unplugging and re-plugging everything so it looks professional, it's definitely a billable job. The good news is: If you haven't signed a managed service deal yet, you can include the cost of this in their "setup fee" and it will appear to the client that it's just included in your service. So you might have that option. As for whether this is Add/Move/Change or a project, I would go with a project simply because a job like this is perfect for flat-fee service. You can do it over a series of days if that makes sense (e.g., one hour per day at 5-6 PM until complete), or do it all at once during a time when they can afford downtime. Make sure you include cables if needed, and Velcro ties (not zip ties) in your price estimate. You could decide to simply create a ticket and charge by the hour. But remember that things like this are a great way to build rapport with a new client. So even with a ticket, I'd work very hard to stay within your time estimate so the client knows they can depend on your word. Hope that helps. If nothing else, there's plenty to think about. * Unless it is. Of course you can create managed service agreements that include new desktop PCs at regular intervals or hardware-as-a-service contracts that include new equipment from time to time. You can create any deal that makes sense for you. ** There really is no exception here. But since the last two had asterisks, I thought you might be expecting one here. I love it when conferences innovate to keep things fresh and invite more ideas into the conversation. Dave over at SMB TechFest has come up with a great way to get lots of new ideas and discussions into the mix. This quarter, SMB TechFest will include a stage dedicated to ten-minute Power Talks. I will be presenting the following topics - with handouts. We might have some time to debate and discuss while on stage. If not, we can certainly do so at lunch and during the cocktail party. As we move more services and data into the cloud, it becomes very important to keep track of all that. In this 10-minute Power Talk, author Karl Palachuk presents a simple method for documenting all your clients' cloud services. 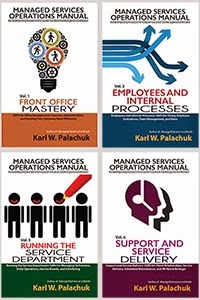 Karl Palachuk is a well-known advocate of the managed services business model. 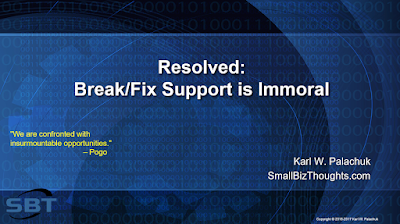 In this 10-minute Power Talk, Karl takes his belief a step further, arguing that it's wrong to offer tech support without managed services. See if you agree. What separates those who "make money" from those who build wealth? In this 10-minute Power Talk, author Karl Palachuk argues that the different is attitude - an attitude toward money. He elaborates with entertaining and educational examples. Don’t miss SMB Nation's popular quarterly report for MSPs, consultants, resellers and IT Pros. The only thing constant is change and we’re right there with you. This analyst briefing will look back at 2Q and make forward looking statements for 3Q. I will join Harry Brelsford for this live one-hour webinar. Is the MSP marketplace ripe for disruption? Is the time right for an Azure vs. AWS debate? Hey George – what should I do? Mark your calendar and plan to join us live on the 18th. I try to hit every SMB TechFest. I generally manage to make three per year. This is always a great conference. Good content, good networking, good vendor hall. Be my VIP guest and see me live at SMB TechFest. SMB TechFest Q3 is coming up on July 20th. See me present along with other industry experts in sessions to grow your business. Also, engage in the IT Mixer, Expo Hall, and prizes included in this exclusive no-cost VIP pass for you. McLaren onsite. Raffle. 130+ mph experience. Mega Mixer. Network with Industry Peers.